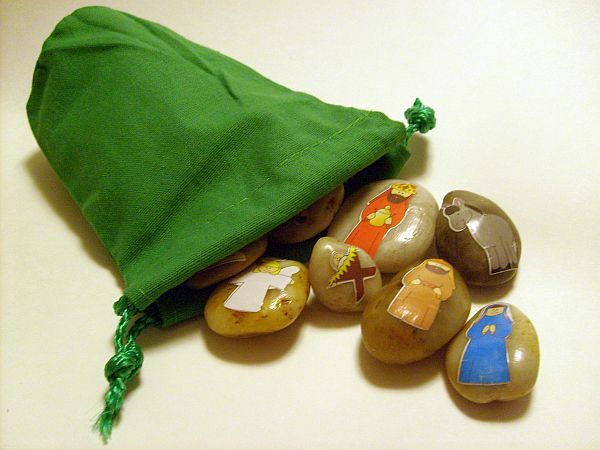 Is your Christmas nativity display tempting young children to play with the colorful, fragile figurines? 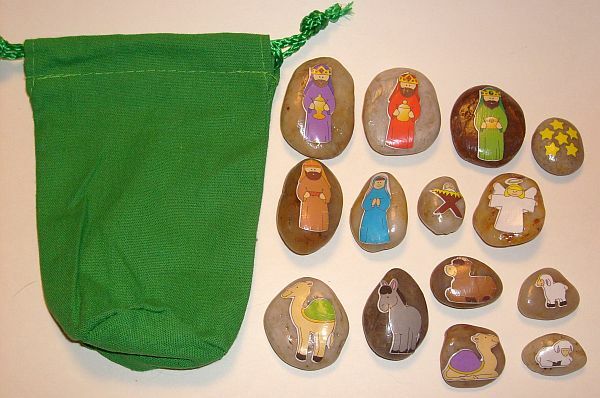 Children love storytelling and Nativity Story Stones allow them to re-enact the miracle of Jesus' birth in a fun way, either alone or with other children. 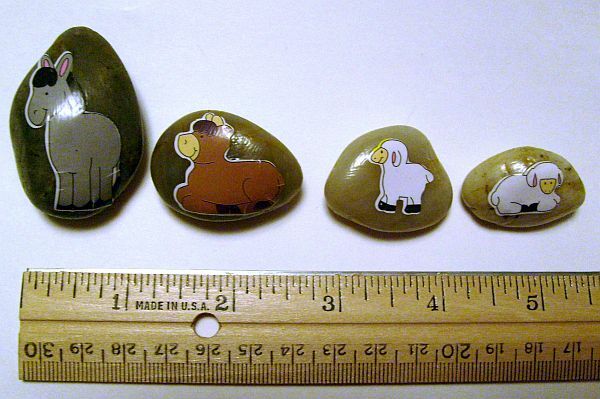 Your child will find joy in handling the smooth stones of his very own nativity scene instead of your "adult" nativity display. 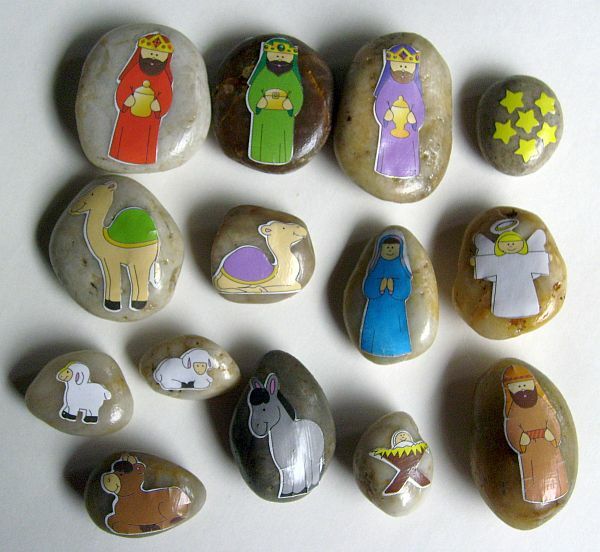 All 14 Nativity Story Stones are sealed with a protective finish and can be used indoors or outdoors. However, avoid splashing them or submerging them in water or other liquids. A green, canvas storage bag, measuring 4" x 7", is included with this set. Please note: This set is a choking hazard to children 3 and younger.